Learn why animating SVG is different from animating in CSS, and work around some common hiccups you might experience along the way. Are you just getting started in SVG animation? Maybe you have been using SVGs as a background image, maybe you've started using SVGs as icons, or maybe you've just been meaning to dig into it. This excerpt from the upcoming book SVG Animations is for you. We'll carefully go through what it takes to animate an SVG, why it's different from animating a div in CSS, and work around some common hiccups you might experience along the way. If you're interested in learning more, please join us for our in-person training, Building SVG Animations, at the new O'Reilly Training Center in Boston on Nov. 1-2. You may have noticed that working with SVG code is familiar, mostly because an SVG has a DOM, just like standard HTML markup. This is hugely valuable when working with CSS animations, as manipulating markup with CSS is already a very comfortable process for most front-end developers. You can also define from and to instead of percentages. If you declare nothing in either the initial keyframe or the ending keyframe, the animation will use the default or declared properties on the element. All of the above declarations are interchangeable in order in a space-separated list, except for the number values, which must be defined in the above order: duration, delay, and iteration count. All of the resulting code in action is available in this demo. Or you can also consult Dudley Storey’s CSS Animations book. We define the radius as half of 50, so 25px. Then we move the center of the circle on both the x and y axis (cx and cy) to half the radius plus that 20px margin we added in the CSS. We could also use margin to move it, but here I’m illustrating that you can draw coordinates directly in the SVG itself. The viewBox has to be larger to accommodate these coordinates, though, so it is the width plus the margin of space to the edge. What happened here? It still moved across, as we were expecting. But the background is filling in the full background of the SVG, thus the entire viewBox. That’s not really what we want. So, what happens if we move that class and target the circle instead? 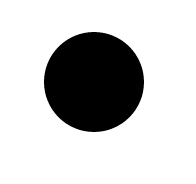 The circle is moving inside the viewBox. Remember, if we move an internal SVG attribute, the viewBox will quite literally be a window with which you view these elements. So if we move the circle without the viewBox being large enough to accommodate those coordinates, it will be obscured when it moves out of that area. SVG elements look like the HTML DOM, but are slightly different. We don’t use background on SVG attributes, we use fill and stroke. An external stylesheet will also have a hard time overriding what is defined inline within the SVG. So let’s take out the fill definition, and move that into our stylesheet. This demo illustrates all of the animations we walked through. So, why SVG? Why learn SVG when you could also build something in CSS and animate that way? It would be incredibly difficult to draw a star in CSS with such a small amount of code, and impossible to be that concise once compiled, if using a preprocessor. We could also probably draw this in CSS, but to what end? If you’re working with a designer on a project, having them draw something for you in CSS is not typically an option, and drawings that you want to move can get much more complex than this. You can also make the whole image scale easily, and therefore, your whole animation can be responsive. All of the information for the illustration is just 2KB gzipped, as well, and can fill up a whole screen. That's pretty amazing if you consider raster image alternatives. It’s tempting to use all of the same properties that you use to affect layout with CSS: margin, top, left, etc. But browsers do not update values for all properties equally. To animate cheaply, your best bet is transforms and opacity. That might seem limiting to you, but transforms offer translation (positioning), scale, rotation. The combination of these with opacity can be extremely powerful. It’s surprising how much can be achieved with these properties in standard animations. Throughout the book, I use these properties wherever possible while demonstrating various techniques. 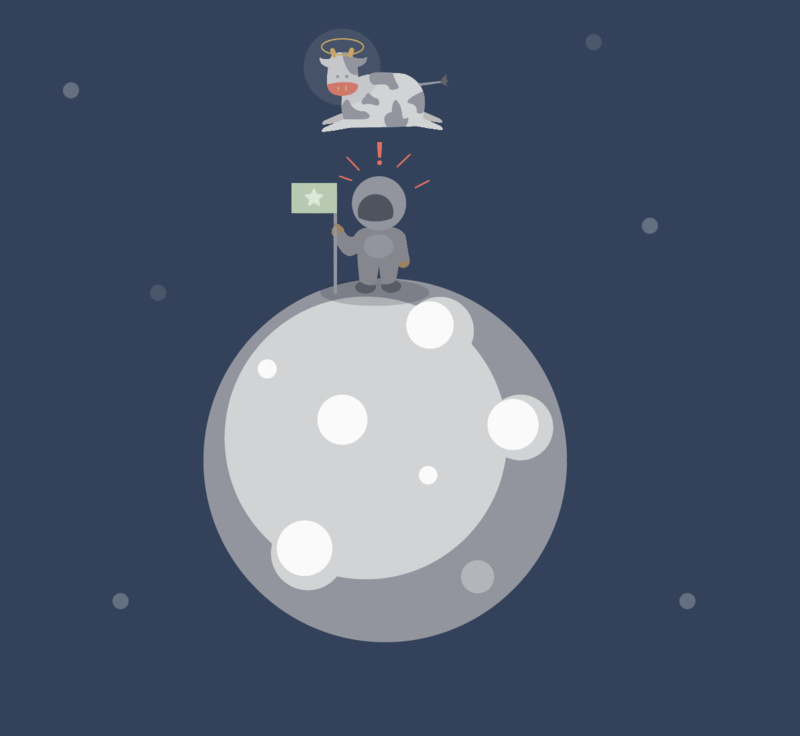 Article image: Illustration from SVG Animations. (source: Sarah Drasner).